Originally from Chicago, harpist Stephanie Gustafson is an accomplished performer and educator. An experienced orchestral musician, she has been principal harpist of the Baton Rouge Symphony Orchestra since August 2015 and is a regular guest of the Houston Symphony and the Louisiana Philharmonic Orchestra in New Orleans. She has also worked with the Austin Symphony, the Corpus Christi Symphony Orchestra, and the El Paso Symphony. Prior to her move to Houston, Ms. Gustafson lived in Washington, D.C. and was principal harpist of the Annapolis Symphony. Outside of the United States, she has performed with orchestras on stages across Europe and South America. In 2013, she worked with Maestro Kurt Nagano and the National Orchestra of Sweden before spending the 2013-2014 season as acting principal harpist of the Orquesta Filarmónica de Santiago in Chile. An enthusiastic collaborator with a passion for diverse music-making, this past 2016-2017 season saw Ms. Gustafson on stages with genre-bending pianist Ben Folds, 5-time Grammy award winning jazz vocalist Dianne Reeves, and classical guitarist Sharon Isbin. She is looking forward to upcoming recitals with flutist Rachel Ciraldo at the Governor’s Mansion in Baton Rouge, LA in the spring of 2018. 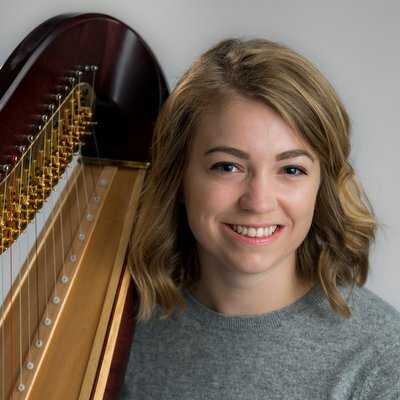 A passionate educator, Ms. Gustafson is on faculty at Blue Lake Fine Arts Camp, where she teaches private lessons and coaches the harp ensemble during the summer. When in Baton Rouge, she regularly visits at The Emerge Center, a school for kids with diagnosed behavioral and communication disorders, where she presents short musical programs for children ages 2-6. She also maintains an active private teaching studio for students of all ages in Houston. Ms. Gustafson received her Master of Music from Manhattan School of Music, where she was a student of the late Deborah Hoffman, principal harpist of the Metropolitan Opera Orchestra. She earned her Bachelor of Music from the University of Illinois Urbana-Champaign where she studied with Dr. Ann Yeung.